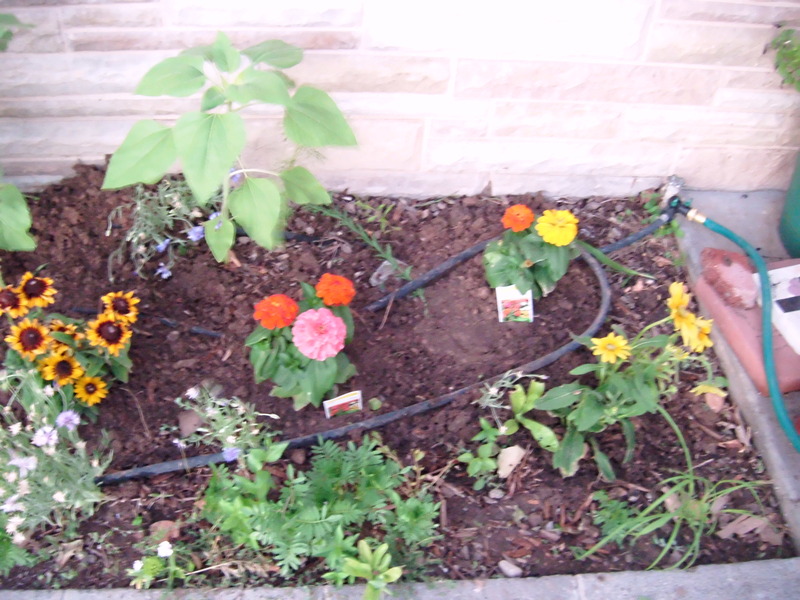 Last night, the sweetie and I got to work on the front flower bed. If you remember, a couple months back I planted some seeds in the front, I talked about that here. Well, my poor little seedlings didn’t stand a chance against the birds, the wind, and the heat. Hardly, any of them came up, and the ones that did come up, came up in a huge clump of green weeds flowers in the middle of my flower bed. I’m not even gonna talk about the poor baby flowers under the tree. I guess the soil under my majestic Pinion tree still isn’t up to par. So, maybe this year I will baby the soil a bit more with some good ol’ cow poop and the “good dirt” that comes in a bag. Then maybe next year I can have some color in that corner of the yard. 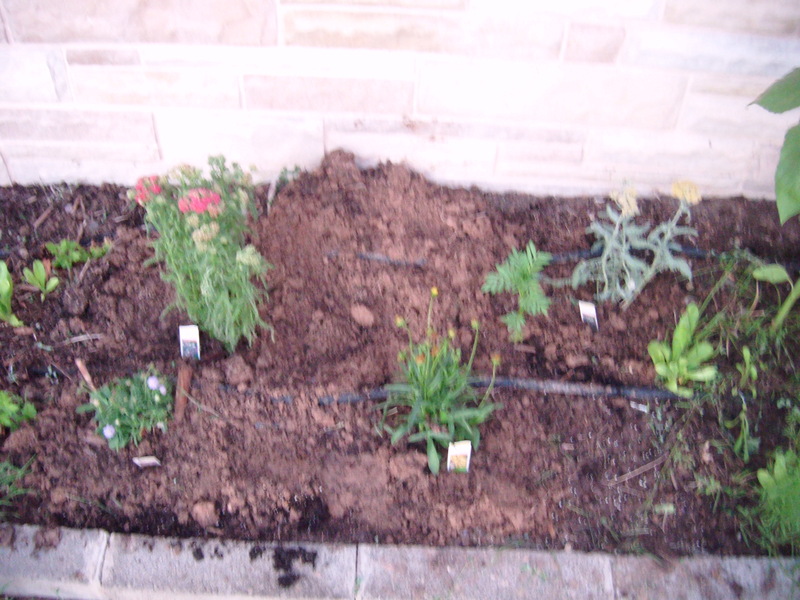 Well, since the seeds didn’t come up I gave in and bought some plants to place in my barren flower beds. Saturday my mom came over and we had a blast going through all of the plants in the garden section of Home Depot. O.K. we may have gone a little overboard, but aren’t all those colors just fabulous!! I hope they look that fabulous after a couple of weeks in my yard. 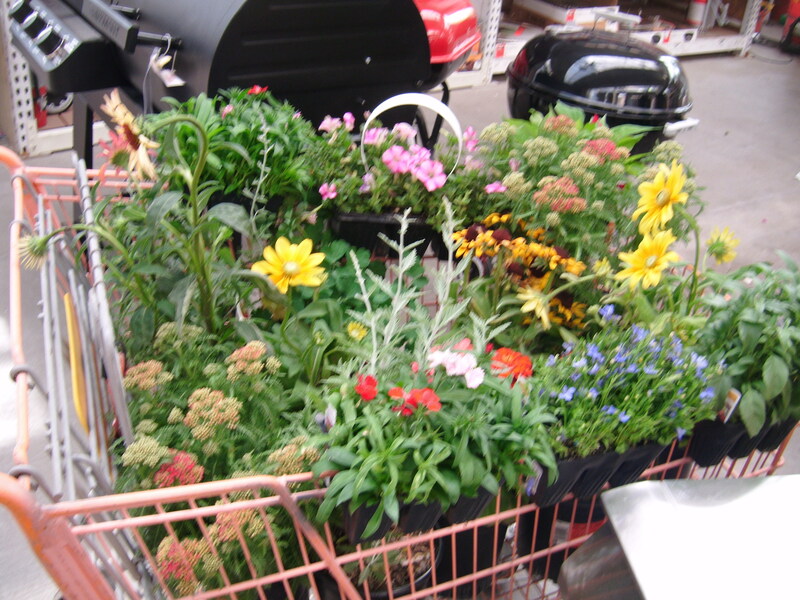 Most of the plants I picked up were prennials, meaning that theoretically, they should come back year after year. Moonshine Yarrow, it’s supposed to be very hardy, and I’ve seen several other yards around town with globs of them. Some Black Eyed Susans, because who doesn’t like a Black Eyed Susan, unless you’re Susan. 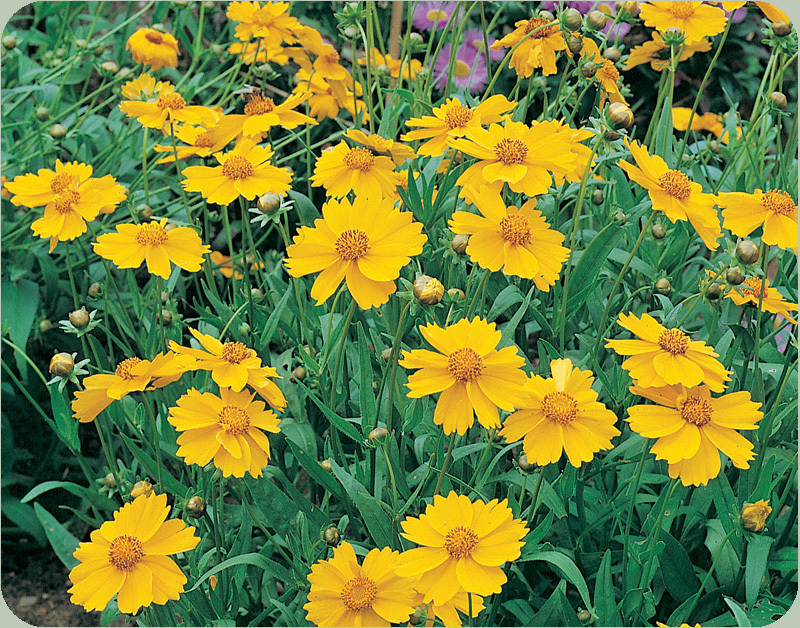 And some Yellow Tickseed. No, there are not ticks on them, contrary to what the sweetie thought when I brought them home. They are called tickseed, because their sprouts almost look like ticks. But aren’t they cute? 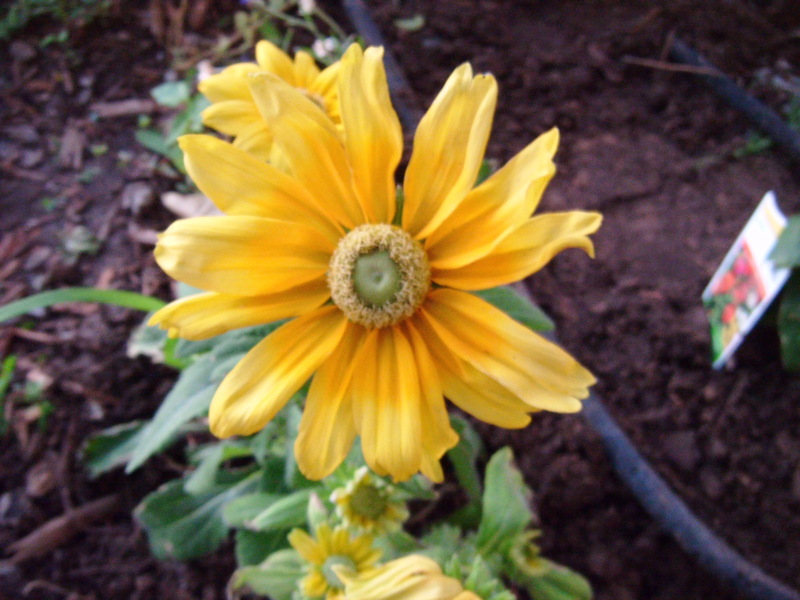 And some Yellow Daisy’s, because everyone likes Daisy’s right? I have a few more to plant tonight, so I’ll be adding more photos later. Hopefully my July flowers will turn out much better than my May flower experience.